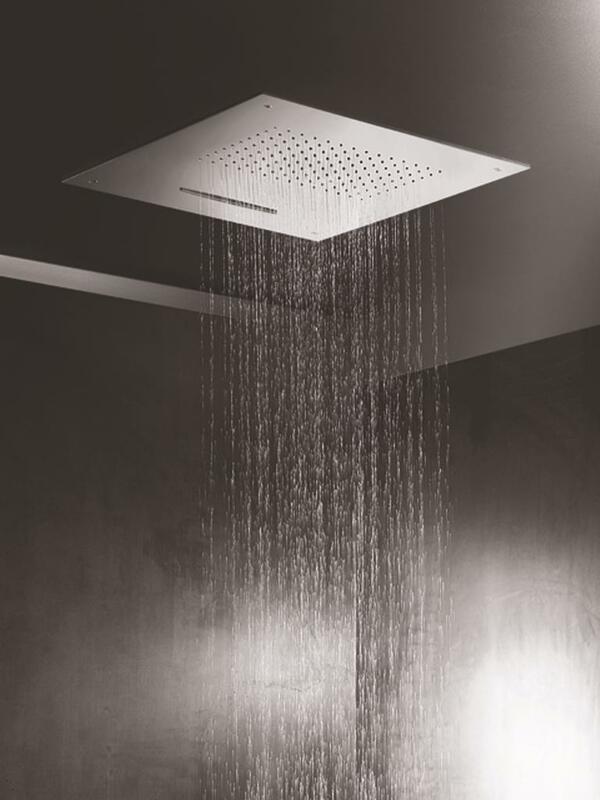 The amazing SO613 shower head allows you to enjoy a spa like experience in the privacy of your bathroom. 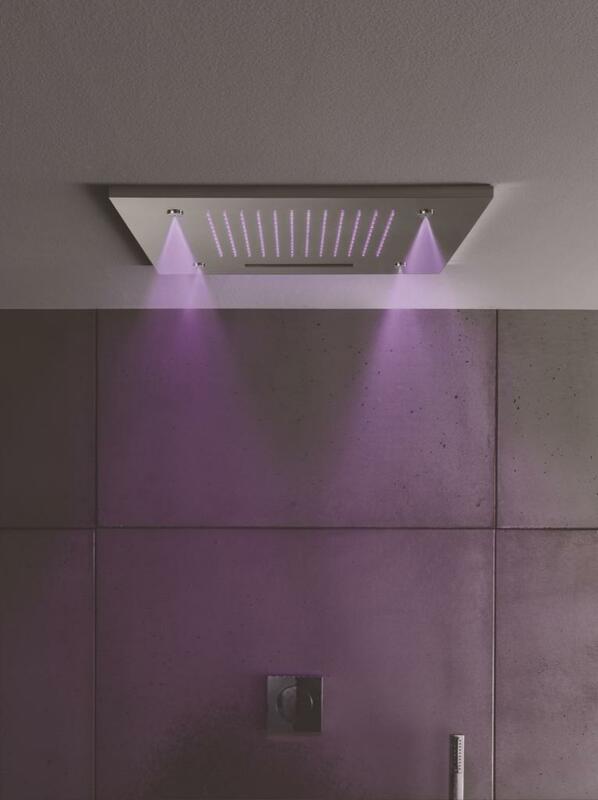 You can choose between 3 types of water patterns: rain, waterfall and vaporizer. 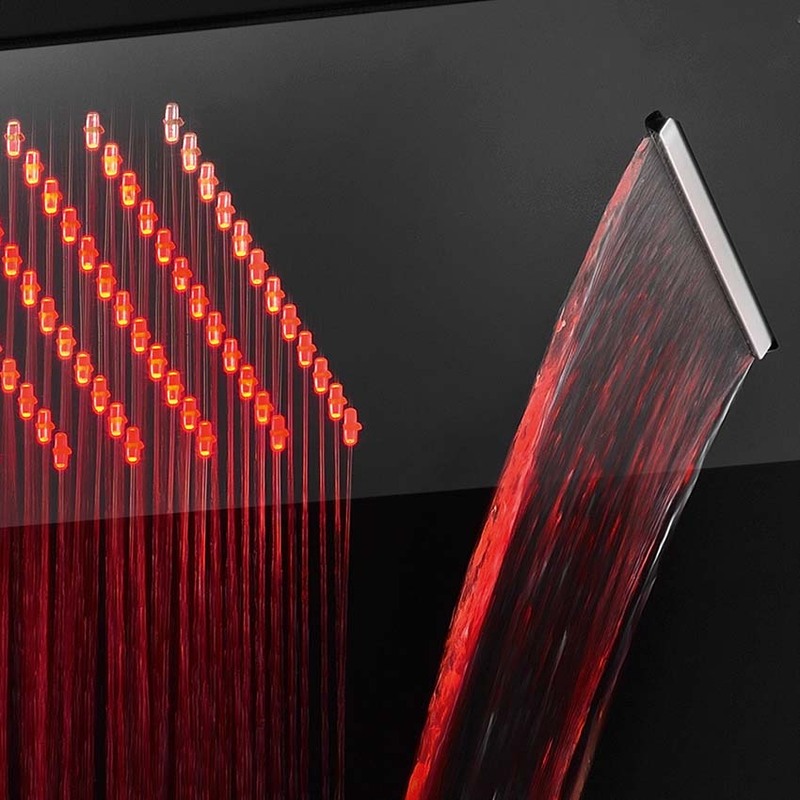 Chromotherapy with 9 colors and two pre-set programs: energizing and relaxing. The included waterproof remote control allows to select the color or preset program. 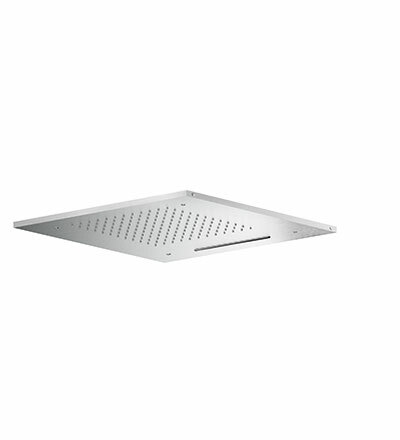 The ceiling mounted recessed frame is also included. The SO626 has identical dimensions and functions but no chromotherapy. 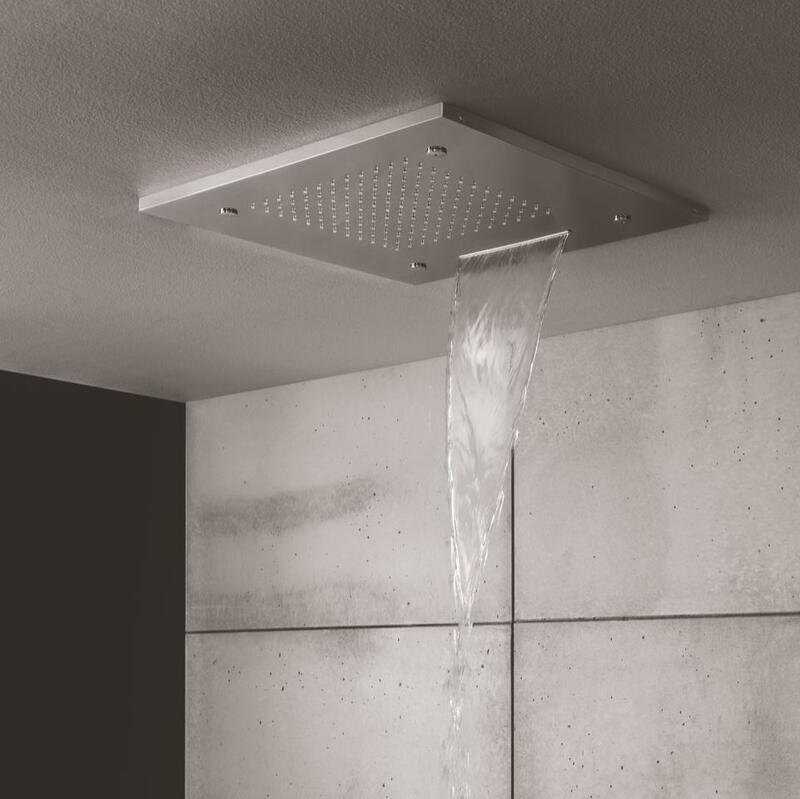 The SO614 has similar dimensions and comes with rain and waterfall streams. No vaporizer and no chromotherapy. 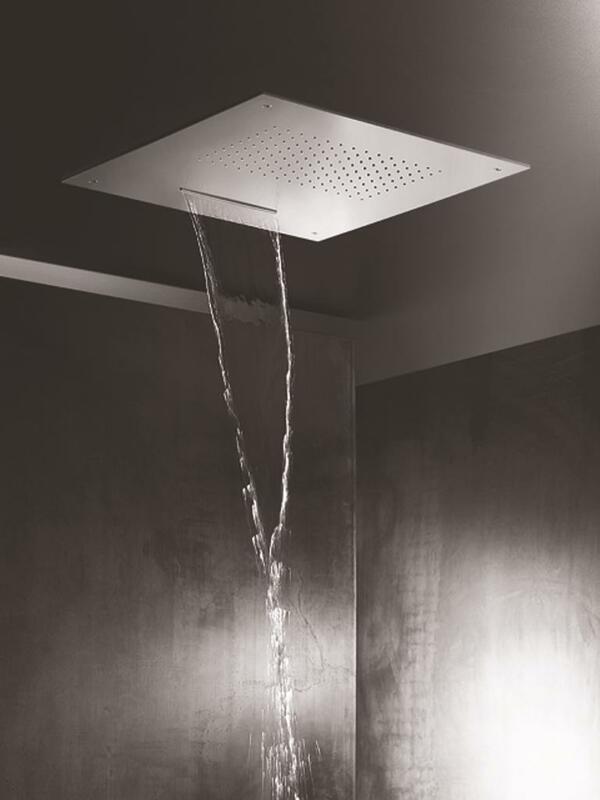 We can offer also customized solutions for your ceiling mounted recessed shower head. Contact us for further information.